yummy yummy yummy..will visit again! 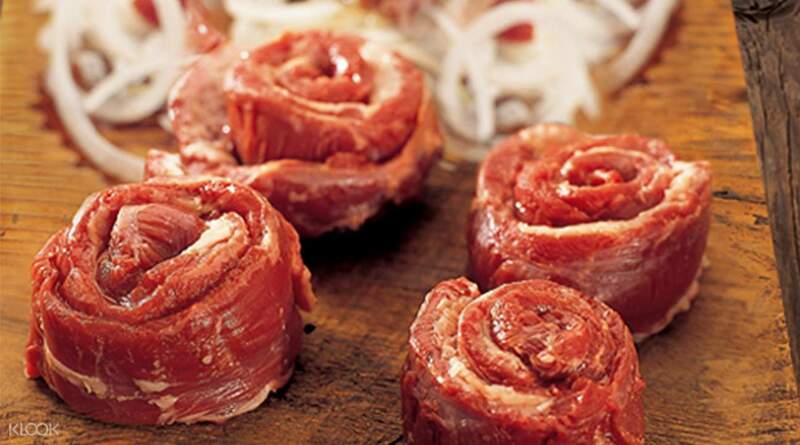 Renowned for its crispy yet succulent meat achieved from being grilled to perfection, it's no wonder that Korean BBQ has taken the culinary world by storm. Get a taste of one of the world's hottest dining trends with a visit to Kang Ho Dong Baekjeong in Myeongdong, Seoul. 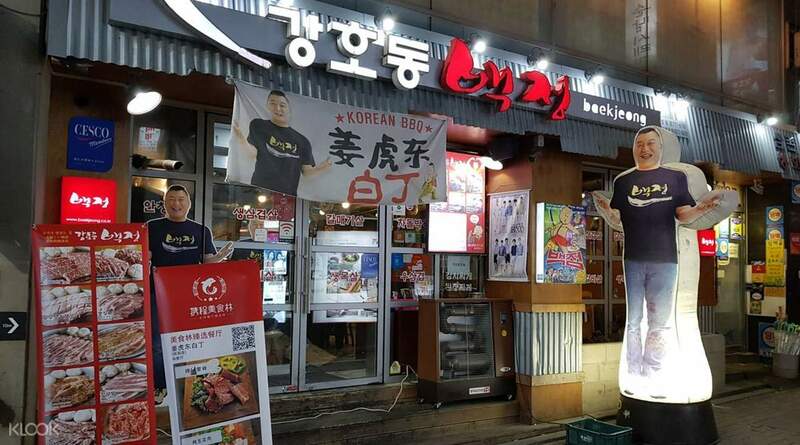 Owned by popular comedian and former wrestler Kang Ho Dong, this restaurant has become a must-visit for anyone who's craving delicious and freshly-cooked Korean BBQ. 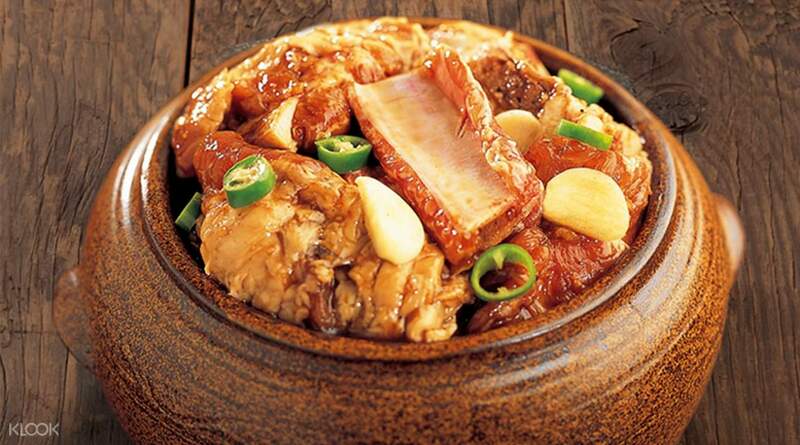 Savor the taste of fresh pork from Jeju Island, as well as high-quality beef sourced from overseas, each marinated in a secret sauce that produces the delicious and distinct flavor that keeps people coming back to the restaurant. Every cut of meat, whether it be skirt steak, pork neck, or any other, is cooked on a charcoal grill present, which provides a subtle hint of smokiness that gives the meat a rich depth of flavor. No need to worry about the smell of smoke, as every table is equipped with a movable smoke vent that completely eliminates this problem. The best part? Purchasing your meals through Klook gets you access to a quick and hassle-free reservation service to the restaurant! Enjoy quick and easy reservations by booking through the Klook website/app! Well marinated grilled meat and good portions with unlimited refill of kimchi and salad. You need to queue outside in the cold but line moves quickly. Good & attentive service in spite of the crowd. 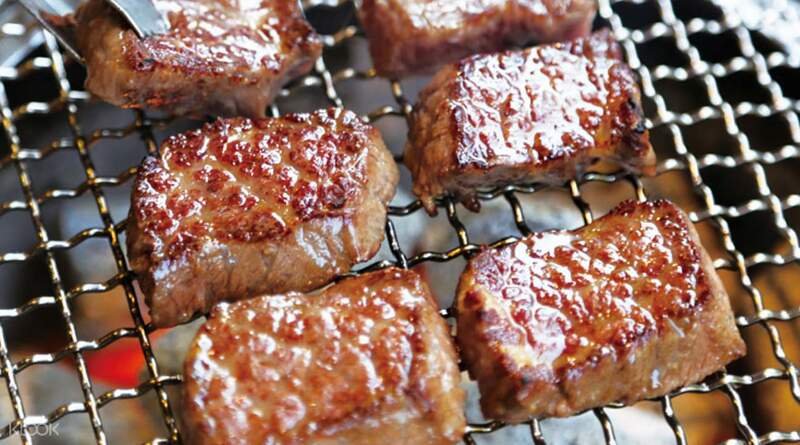 Well marinated grilled meat and good portions with unlimited refill of kimchi and salad. You need to queue outside in the cold but line moves quickly. Good & attentive service in spite of the crowd. The food was good and there were several side dishes. The restaurant is spacious. The staff doesn’t know how to speak in English so you can just show the voucher. The food was good and there were several side dishes. The restaurant is spacious. The staff doesn’t know how to speak in English so you can just show the voucher. Location is great (in Myeongdong). The food is also delicious. Location is great (in Myeongdong). The food is also delicious. Food was good but the location was hard to find. I went to their other outlet and was told that I went to the wrong outlet. One of the server was not polite. Food was good but the location was hard to find. I went to their other outlet and was told that I went to the wrong outlet. One of the server was not polite. yummy yummy yummy..will visit again! yummy yummy yummy..will visit again! Easy redemption, the quality of the food is good, easy place to find and get crowded after 7pm. Easy redemption, the quality of the food is good, easy place to find and get crowded after 7pm. There is two outlets in Myeongdong, Klook should have given the address. The shop name in Korean, a bit difficulty finding , have to ask people for directions. The food was nice, enough for 2 but for guys , I think not enough. Overall is good, thanks. There is two outlets in Myeongdong, Klook should have given the address. The shop name in Korean, a bit difficulty finding , have to ask people for directions. The food was nice, enough for 2 but for guys , I think not enough. Overall is good, thanks.